The province of Marlborough has long been recognised as ideal for the growing of Pinot Noir and here winemaker Simon Waghorn takes full advantage of the local advantages: leafy vineyards, ripe fruit and cool climate growing. And, happily, he succeeds with this mid ruby coloured wine (you will see lighter Pinot Noirs). Aromas are cheerful, ripe fruits (cherry and berry). Full bodied, flavours of plum and brambly fruits, well balanced, the oak (11 months of it) harmoniously integrated, supple and silky in a long and totally satisfying finish. Very Highly Recommended. Food pairing suggestions: Venison, lamb, wild game and game fowl, Asian-style duck, seared tuna and swordfish. And the name? Astrolabe was once a navigational instrument and also the name of the ship in which French adventurer Jules Sébastien César Dumont d’Urville explored the province’s coastline in the late 1820s. The Waghorns also produce wines called Durvillea. Dry, with a lime enhanced finish, this American wine is new to O’Brien’s, the fruit sourced from cooler climate sites in the world class vineyards of the Columbia Valley. It has a light straw colour. Peach, apricot and citrusy aromas. On the palate it is dry and crisp with zesty fresh fruit flavours (lime now in the mix). It has an engaging acidity and a very decent finish indeed. Very refreshing and Highly Recommended. Wendy Stukey, a winemaker at the chateau says, on a website video, that it is an incredibly versatile food wine, as are most Rieslings, and her favourite pairing is with oysters. They also recommended scallops, mild cheeses, Asian dishes, Indian curries. Chateau Ste Michelle, since 1999, has been involved in a cooperative local venture, Eroica Wines, with famous German winemaker Dr Loosen, a acknowledge master of Riesling. We don’t get that many US wines here, mainly because they are at quite a high price point (not the case here!). I’m not that familiar with Washington vineyards so did a little research. 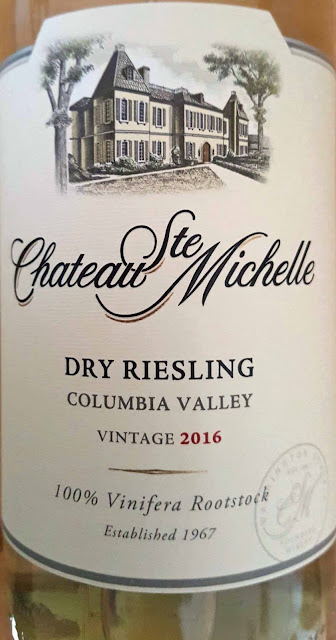 “Today,” according to World Atlas of Wine (2013), “Washington is the second most important wine-growing state in the US….producing some of America’s most admired Cabernet, Merlot, Riesling, and, especially, Syrah.” And, by the way, O’Brien’s also have the Syrah from Ste Michelle. Must try that! New Zealand wine-growers came in force to Dublin last Monday and the tasting at the Radisson Blu in Golden Lane was appropriately called Flavours of New Zealand. Delicious flavours both in very approachable entry level wines and even more so in the very desirable top end wines, both in red and white. Sauvignon Blanc is THE white wine grape associated with New Zealand and, aside from the individual wineries, the event featured a SB Table. 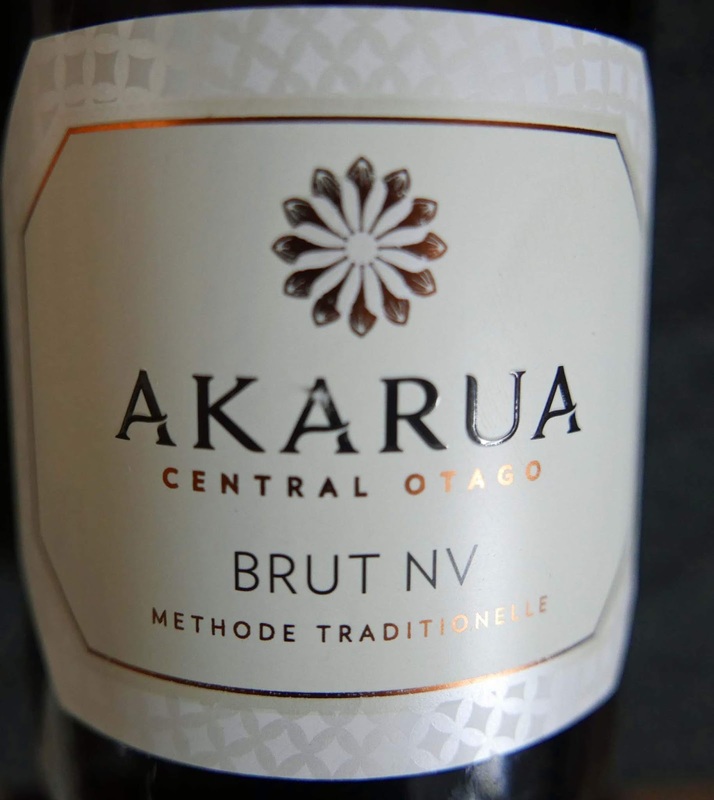 The seven wines had been picked by sommeliers who had visited New Zealand on scholarship. I noted three, beginning with the very refreshing Clos Henri Marlborough 2016, imported by Les Caves de Pyrene. We two had a bit of a contest between the Framingham F-Series and the Greywhacke Wild, both Marlborough, and the less expensive Framingham got the nod, both very very good, both distributed by Liberty Wines. Great to see Findlater still going strong at the New Zealand tasting. They were founded in 1823. 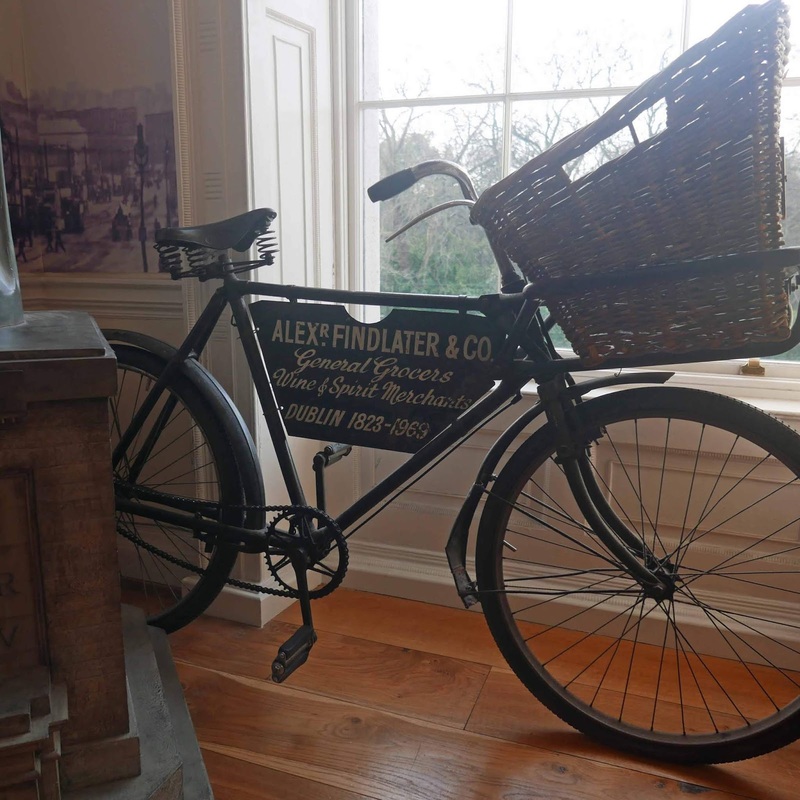 This bike, donated by the company, is an exhibit at the Little Museum of Dublin. New Zealand is not that well known as a Chardonnay producer. But it is grown throughout the country, reflecting the terroir and the wide regional diversity. This grape also had its own table. Two of the best ones from the eight on the table, I thought, were the Lawson’s Dry Hills Reserve (Marlborough) and the outstanding Pegasus Bay Virtuoso (North Canterbury) . Both are distributed here by Febvre. Mount (Mt.) 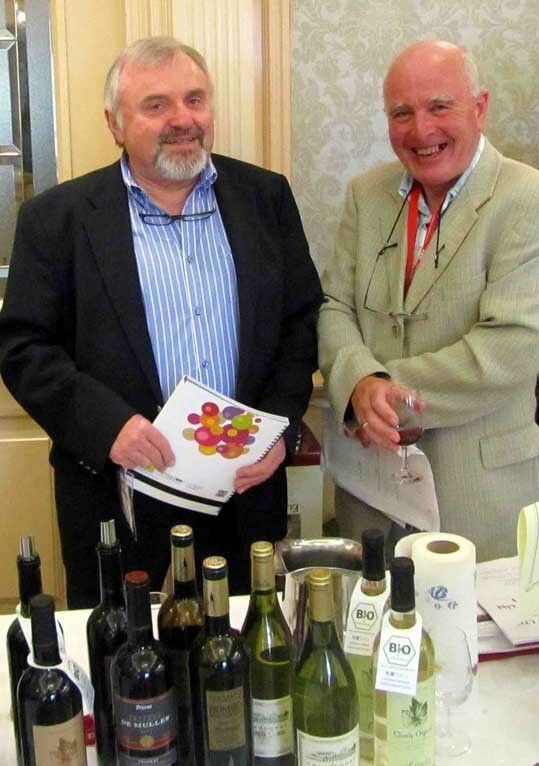 Beautiful was a winery table with a full hand of excellent well-priced wines and, like quite a few of the wineries here, they are seeking representation in the Irish market. David Teece and his wife Leigh started by purchasing four farms in 2003 and wasted no time in planting vines. We tasted three whites (Sauvignon Blanc, Chardonnay and Riesling) along with their Pinot Noir, all certified-sustainable and estate-grown, and all better than normal. Only eleven kilometres from the ocean, the vines are protected by Mt Beautiful and the couple, who also do conventional farming, make the best of their terroir. We had a similar success at the multi-award winning Saint Clair Family Estate table. Luckily you can get their wines here as they are distributed by Findlater & Co. 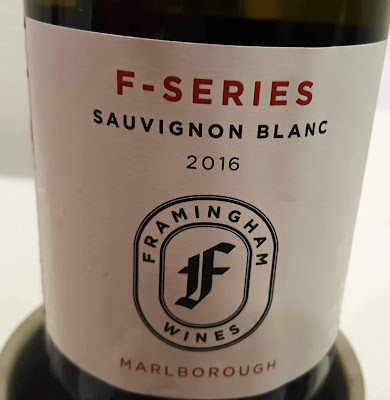 The entry level Sauvignon Blanc and Pinot Noir were very acceptable and the higher levels had that bit more going for them by way of restraint and sophistication and, yet, the price difference isn’t all that much. Watch out for Saint Clair. One of the more unusual Sauvignon Blancs came from the well-known Brancott Estate (distributed here by Pernod Ricard). They are one of the vineyards trying to include naturally lower alcohol wines in their portfolio. I tasted one, the Flight 2017 (Maryborough). Just 9% but no lack of flavour at all - very encouraging, like the recent Dr John Forrest one purchased from Marks and Spencer. Our second stroll around the tables saw us concentrate on the reds and here it was mostly about the Point Noirs! Felton Road had a strong hand as you'd expect from a vinery with a “formidable worldwide reputation for Chardonnay, Riesling and Pinot Noir”. They are very special wines and pricey. I’d have been very happy with the first Bannockburn, a really top notch Pinot at €52.99. And then came their Block 3 Bannockburn, an even better wine, matched by the one from Block 5, each at €79.99. Pricey yes but really very special and imported by JN Wine. And speaking of special takes me back to Cloudy Bay, distributed here by Edward Dillon. Again there was a great start with the 2016 Pinot Noir from Marlborough (45.60). And then I spotted a Te Wahi from Central Otago. I was told excitedly that this comes from a new project and is produced to be “age-able”. Otago is way down south and the fruit comes from two small “very high” parcels. 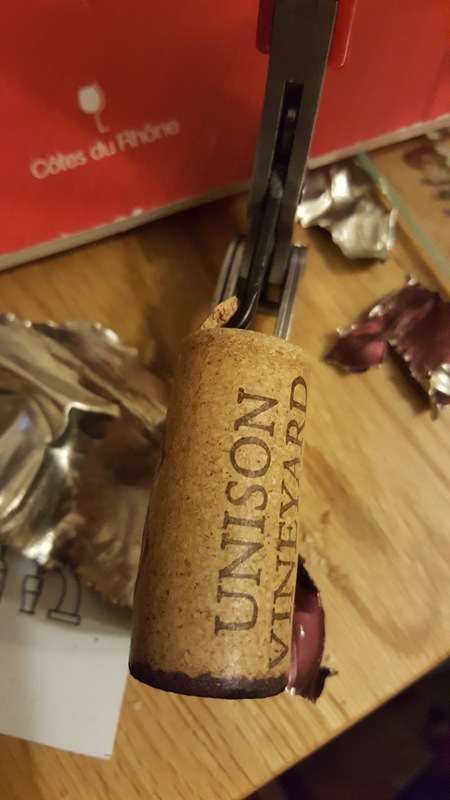 The intent to make it “age-able” is underlined by the use of cork as a closure - all the others on the table had screw-cap. It does however cost €87.90. Happy Birthday. Happy Christmas. Happy Anniversary. I’ll think of something. Seifried Estate had a full range, everything from bubbles to dessert and including Sauvignon Blanc and Pinot Noir. I more or less went off piste here and came up with a handy double, from grapes normally used in Austria. 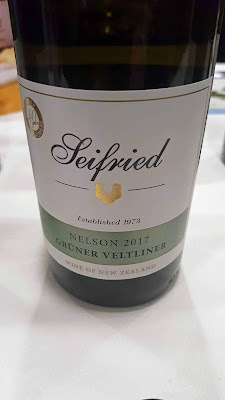 Their Grüner Veltliner Nelson 2016 was a beauty (and, dare I say it, a great change from SB and Chard!). And I was equally impressed with the flavour and finish from their Zweigelt Nelson 2014. Both are distributed by Classic Drinks so do watch out for them. Began to run out of puff (and time) at that stage and had to leave without trying all the tables. Nonetheless it was quite an afternoon of tasting, more than enough to illustrate that New Zealand is a major player and a welcome one in the Irish market, two islands from opposite ends of the world helping one another one in trade even if we knock one another out on the rugby field. 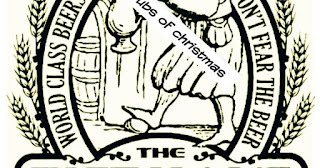 CorkBilly’s Drinks Digest. Wines, Spirits and Beers. “More like a New year Pubs do this year!!! Join myself David, John & Conal on a epic tour of the best beer spots in Cork! It’s an annual event and everyone who know us is welcome to join us! 6.45pm quick one in Maureen’s if open? Our favourite festival of the year....The Cask Ales and Extraordinary Brew Festival running from Jan 31st to Feb 2nd. 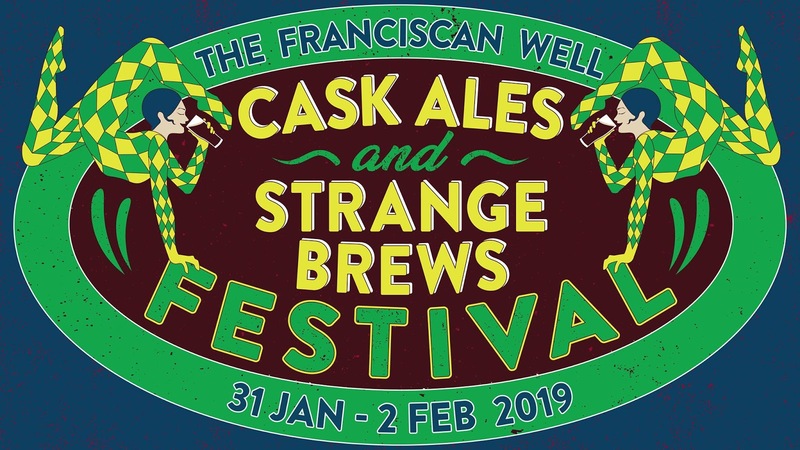 Featuring a range of special brews using curious and interesting ingredients, the festival will showcase the growing experimentation of Irish brewers and their ability to challenge the norms of brewing. 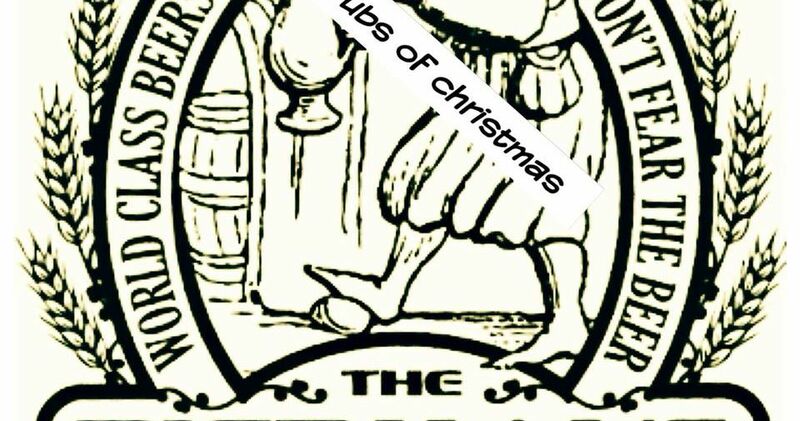 Yellow Belly, Rising Suns, Metalman and West Cork Brewing are just some of the brewers at the festival and will compete in the Beoir Cask Competition to see who can come up with the most extraordinary beer under categories: Best lager, best "pale', best stout and best specialty. Judged by The national Beer enthusiasts club, winners will be announced on the Saturday of the festival. 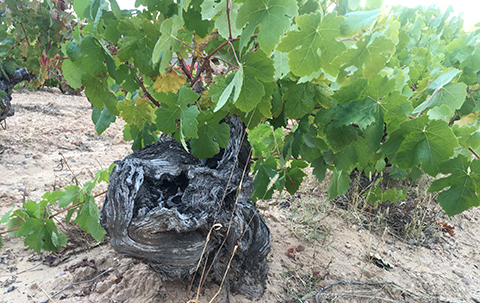 Most Popular Spanish Wine Stories from 2018. In English! The informative and entertaining Spanish wine social media outlet, Spanish Wine Lover, recaps its most popular English language from 2018 here https://www.spanishwinelover.com/enjoy-353-most-popular-stories-in-2018. A Trio to Watch; Old Vines Stand Out; Sought After Producers, are among the titles. Thinking of visiting Bordeaux and the new Cité du Vin in 2019? A special offer on accommodation at the vineyard of Chateau Feely in the Dordogne may help you make up your mind. Sean and Carlo would love to see you there! Details here. 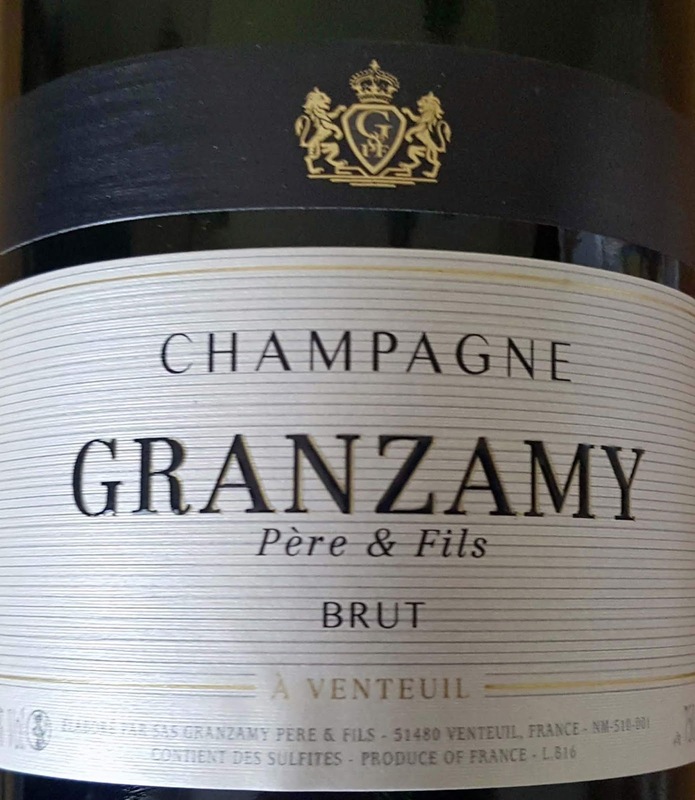 The only grape used in this stunning champagne is the black Pinot Meunier, leaving both Chardonnay and Pinot Noir (the other regular champagne grapes) out of this particular equation. It has an inviting eye-catching light gold colour - the bubbles look even better! Aromas are light and fruity (strawberry). Light fruit on the palate also, refreshing and well-rounded, well balanced with a lip-smacking long finish with typical brioche (biscuity, like Marietta!) aftertaste. The vineyard is planted on the privileged Epernay soil; Epernay is the capital of Champagne and also a town of artistic and historical importance. 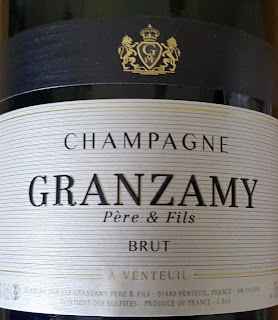 And, yes,Granzamy do blends of Chardonnay, Pinot Noir and Pinot Meunier. Here, a small number of growers are concentrating their efforts into bringing Pinot Meunier back into the limelight as a variety which produces quality Champagnes and not just a varietal to compliment a blend. Granzamy is one of those growers. Pinot Noir and Chardonnay are the grapes used here and, yes, it may be New Zealand but this is made in the Methode Traditionelle, that is the champagne way, and it spends a minimum of 18 months ageing on yeast lees. A serious contender then with an inviting gold colour and very good small-bubble flow. Aromas are floral, savoury and that brioche is there too. It is almost creamy in the mouth followed by that long crisp brut (dry) finish. Sparkling wines are a relatively new operation of the vineyard but already Akarua has been bringing in the medals, mainly gold. This Brut NV (non vintage) is a fine aperitif wine and is ideal for celebrating with friends whenever and wherever you get together, be it New Year’s Eve, birthday or anniversary, or Nollag na mBan! If using it as an aperitif (it was outstanding here on Christmas morning), don’t forget to provide some nibbles - these bubbles go to the head faster than still wine! Here’s another lovely bottle of bubbles from O’Brien’s. This is from Australia and is a rosé. 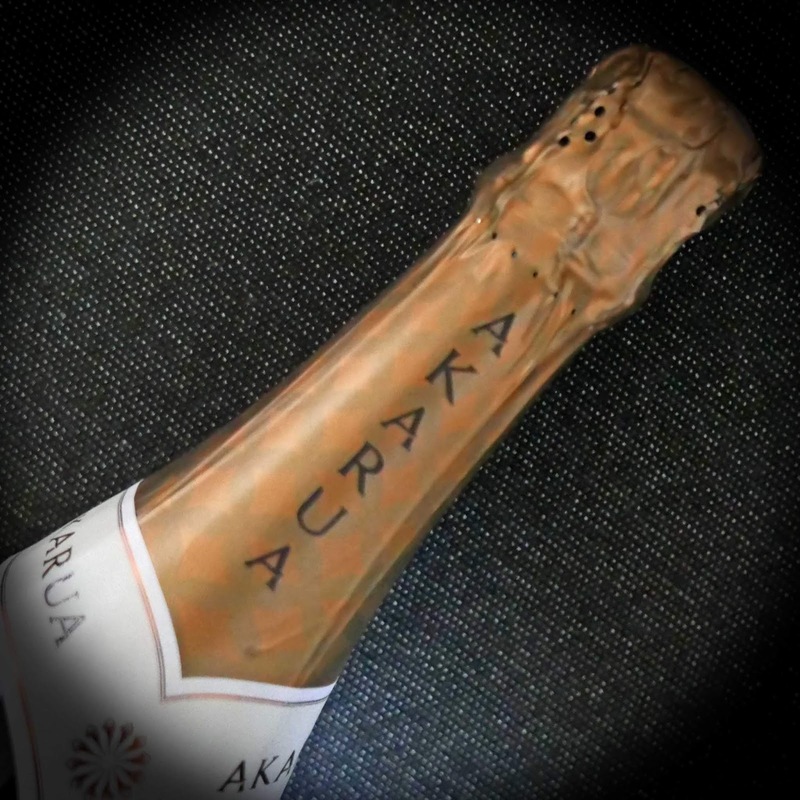 Again, it is made by the Traditional Method (same way as champagne) and is a blend of selected vintages, hence the NV. Produced from Pinot Noir grapes, it comes in a gorgeous pastel salmon hue in which fountains of micro-bubbles constantly rise. There are delicate scents of strawberry and pomegranate. The palate is more intense than the nose, strawberry again and now cherry as well, and a pleasing refined finish and, along the way, you come across that bread-biscuit flavour. Another superb and delicious aperitif and, again, don’t forget those nibbles for yourself and your guests! Happy New Year. Got this Brut (dry) at the local Aldi. I was very impressed with it. This sparkling Chardonnay, again made using the same methods as they use in making champagne, is perfect for any celebration (big or small). It is not lacking in complexity, has light fruit flavours, that hint of biscuit and a fine finish. Good price too, bubbles on a budget. French sparkling wines made by the méthode champenoise but falling outside the boundaries of the Champagne region are termed Crémant. Grapes other than the traditional Champagne varieties may also be used.They are produced in many regions of the country including Bordeaux, Loire, Burgundy, Limoux, Alsace, and the Rhone (known as Crémant de Die). Reds may outnumber the whites by about two to one in the ongoing annual sale at O'Brien's but there are some excellent whites to consider. We tasted the first three over the past week while the two at the end were tasted a few months back. 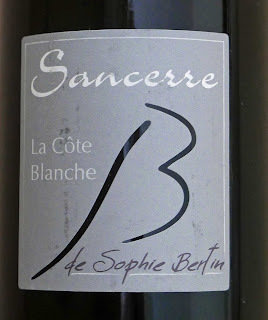 All good, but we do advise putting the Sophie Bertin Sancerre at #1 on your shopping list! 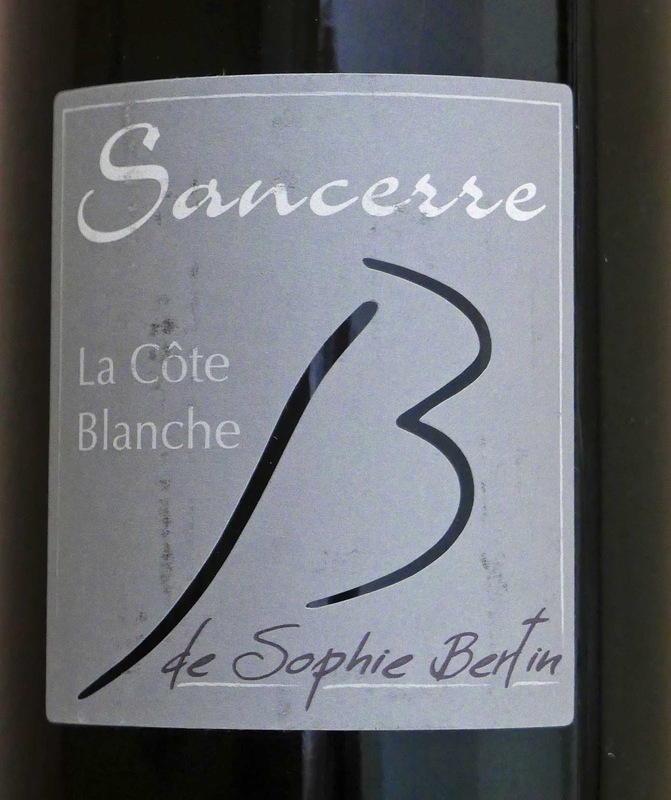 La Côte Blanche de Sophie Bertin Sancerre (AOP) 2016, 13%, €14.95 (down from 21.95). Of the three whites tasted this past few days, this is the star. Not that you’d know it from the pale straw colour, much the same as the Waiheke. The magic starts with the aromas, a degree or two more intense, white fruit and floral notes, minerality and more, full of promise. And that promise is handsomely delivered. The palate has extra intensity, more body, rounded and flavourful, perfect balance between fruit and acidity, plus quite a long and satisfying dry finish. Very Highly Recommended. An ideal pairing with seafood, salad, or simply by itself. The winery recommendations are Goat's cheese, Risotto, Salads, Shellfish, Smoked fish. This top class Sancerre benefits from the Domaine’s “fantastic soils (chalk and clay, and flint)" and a policy of reducing yields to increase fruit flavours. In the cellar, the wine is matured on its lees for several months. Rabl Grüner Veltliner Löss Kamptal (Austria) 2017, 12%, €14.95 (was 18.45). This light straw coloured wine has aromas of white fruits, light pepper in the background. 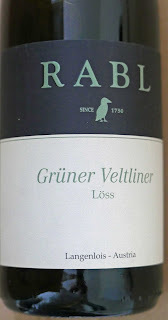 The purity of the fruit (peachy) is exceptional - the Grüner Veltliner, known for its aromatic fruity wines, gets on very well with the local Löss soil - no shortage of minerality and you have a dry refreshing finish. Highly Recommended. Well priced too - especially now! The Rabl Winery in Langenlois, Austria’s largest wine-producing city, has three guiding principles: 1. Only perfect grapes can yield a top wine. 2. Must from perfect grapes allows minimal intervention. 3. No fear of powerful wines! Rabl are well regarded and they recommend pairing this generous and refreshing wine with light starters or as an aperitif. Should go well too with simple fish dishes and salads. 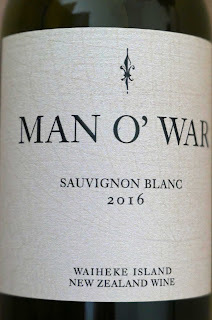 Man O’ War Sauvignon Blanc Waiheke Island (New Zealand) 2016, 12%, €16.95 (was 19.95). Very light straw is the colour of this Waiheke Island Sauvignon Blanc. The island, known for its beaches and vineyards, is a short ferry ride to the east of Auckland on the North Island. Aromas tend to citrus as does the fairly intense palate of this fresh and crisp wine. Acidity is not shy at all and, with a hint of grapefruit, there’s a pleasing refreshing finish. Recommended. By the way, it is not entirely Sauvignon as there is five per cent Semillon in the blend. Winery note: The 2016 Sauvignon blanc, with 5% Semillon, is a stylish vintage with typical herbaceous aromas, tight acidity and ample texture. 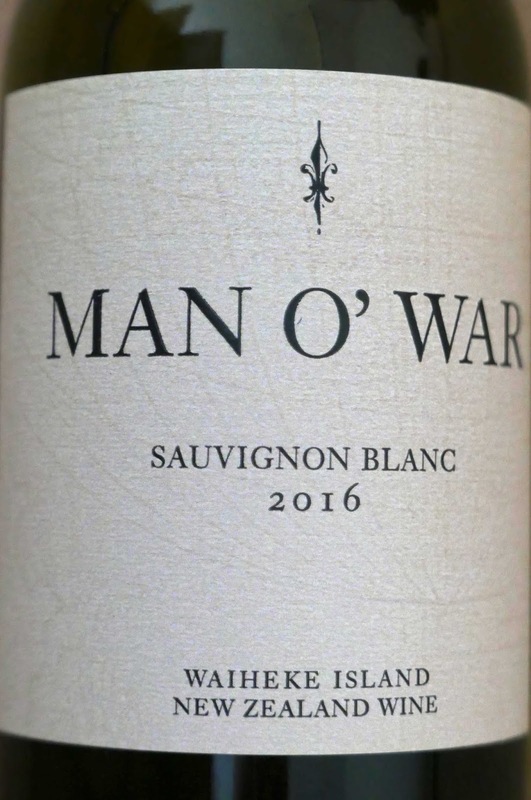 Typical of Waiheke Sauvignon blanc, our 2016 Estate Savvy is perfect with a year or two of age allowing the wine to mellow and showcase the wines structure and longevity. Gaia Assyrtiko Wild Ferment €22.95 (was 24.95). The grapes are grown high up in circles around the top of the craters on Santorini, one of the Greek islands. Sometimes wines from hot climates lack acidity, but that is not the case here. Try it with shellfish. The grapes are soaked on the skins after crushing for a long period. This gives the wines their excellent structure and complexity of flavour. Well worth a try! Colour is a light straw and the intense aromas feature white fruits and blossoms. The intensity is also on the palate, citrus notes here too and a rich minerality also prominent in this elegant and full-bodied wine. Definitely has that strong personality and a long dry finish. 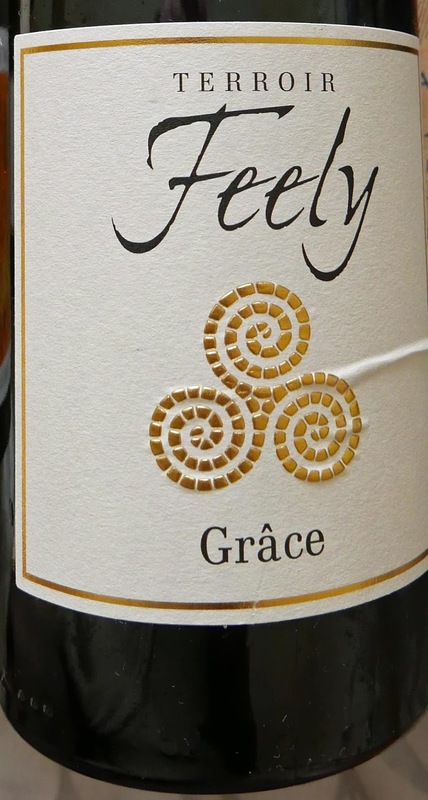 Greco di Tufo is the grape and you’ll find it difficult to get one better than this! Three Cracking Reds. Bergerac, Chianti and Hawkes Bay. You might have those eye-catching Purple Violetta potatoes currently being grown and marketed by Ballymakenny; that is more or less the colour of this excellent wine. Aromas are of freshly picked ripe plums and dark berries, leaves attached. And the palate is of fresh fruit and acidity (all the better for food pairing). An amazingly pure wine, tannins a fine, very fine, influence. Balance is super, the fruit and astringency equally in evidence deep into the satisfying finalé. Very Highly Recommended. This “rich and elegant” dry red wine, highly marked by Jancis Robinson, is produced by Caro and Sean feely in their Saussignac vineyard in the Bergerac area. The blend is 50% Cabernet Sauvignon and 50% Merlot. Unusually, it is non vintage (NV). Just 2,650 bottles were produced. No sulphites were added and the winery is certified organic and biodynamic. This “grace of nature” is the delicious result. By the way, the Feelys recommended pairing it with Lamb (with Rosemary), duck breast, and Comté. Heard it went well also with venison at a recent dinner in Ballymaloe! Husband and wife team Marco Pallanti and Lorenza Sebasti produce this wine at their Castello Di Ama vineyard which is close to Sienna. Sangiovese is the dominant grape in the blend which also includes four per cent Merlot. It is a light and bright ruby red and you’ll find expressive red fruit (cherry, raspberry) in the aromas. 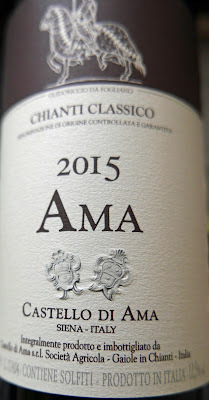 It is light and juicy, notes of spice, tart red fruit prominent, mid to full bodied, mid to high acidity contributes to the balance, silky tannins also in play and then a moderately long finish. Unison Hawkes Bay (New Zealand) 2005, 13.5%, a gift from a friend. 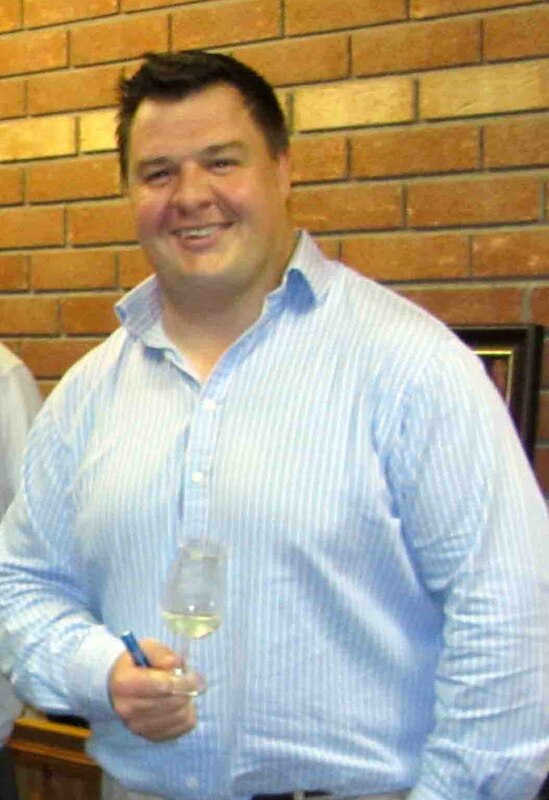 Unison describe themselves as “a truly boutique winery consistently producing world class wines”. No pressure then on this winery from the Gimblett Gravels wine growing district that produces finely balanced wines “of great elegance with a soft tannin structure”. This Unison 2005 is their signature wine, the usual blend of Merlot, Cabernet Sauvignon and Syrah. It is the 9th release with the usual good results. Colour is mid ruby and the complex aromas feature ripe red and darker fruit. It is smooth and rounded, a superbly balanced blend, fine tannins and velvety all the way. Nothing jars in this harmonious mouthful, a fine wine all the way from first sniff to the long finish. 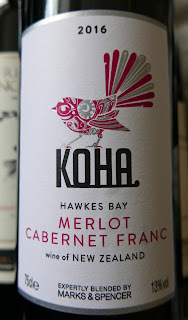 This red blend from New Zealand is not to be rushed and Very Highly Recommended. If you can get your hands on it - my Wine-Searcher drew a blank - please let me know where! 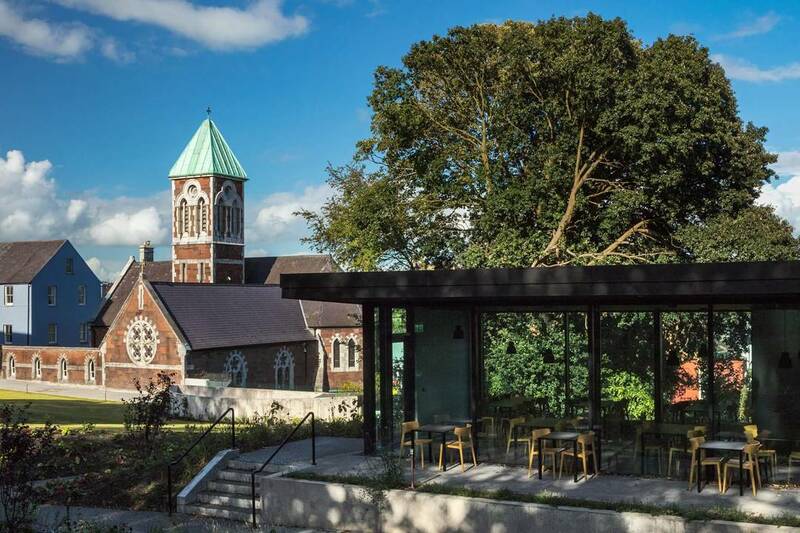 Kai Moana is one of the exotic names that pops up on the menu at Good Day Deli in the gardens of Nano Nagle Place in Cork City. Those of you who have visited the South Pacific, especially New Zealand and the “neighbouring” islands, will not find them strange at all and know that Kai Moana is the Maori for seafood. So sustainability is the guideline for the crew here, fronted by owners Clare Condon and New Zealander Kristin Makirere and Head Chef Charlotte Murphy, from the food sourcing right down to the paper napkins. Importantly that food is delicious; the word has already spread and the place was packed when we visited about 12.30pm last Friday. Don't just look in through the glass and say “we’ll never get a table”. Open the door and soon enough you’ll be seated. 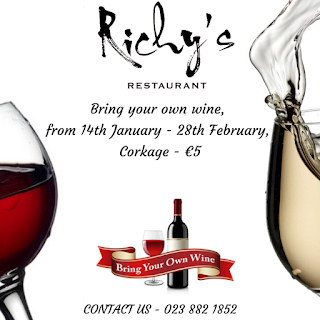 You may reserve a table earlier in the week (Tuesday to Thursday). The afternoon menu kicks in at 12.30. After a few minutes delay we were seated and studying the list. There was a hot seasonal soup (chilli and coriander in this case), a Tart of the Day, a Vibrant Vegan dish, and a Halloumi Citrus Salad. Sides galore: honey, nut dukkah, tapenade, hummus, paprika fries and more. We had spotted a hake dish on their facebook page and were hoping it was still on. 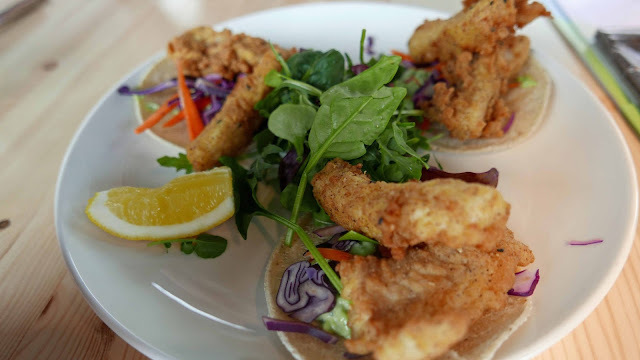 It was and CL picked that one: Kai Moana Fish Tacos, lightly battered Irish Hake on Blanco Nino Corn Tortillas with raw slaw, pickle plus lemon coriander mayo and fries. That fish was fresh and delicious, a lovely dish for €15.00. I also hit the jackpot with the GDD Curry Bowl (€14.00). 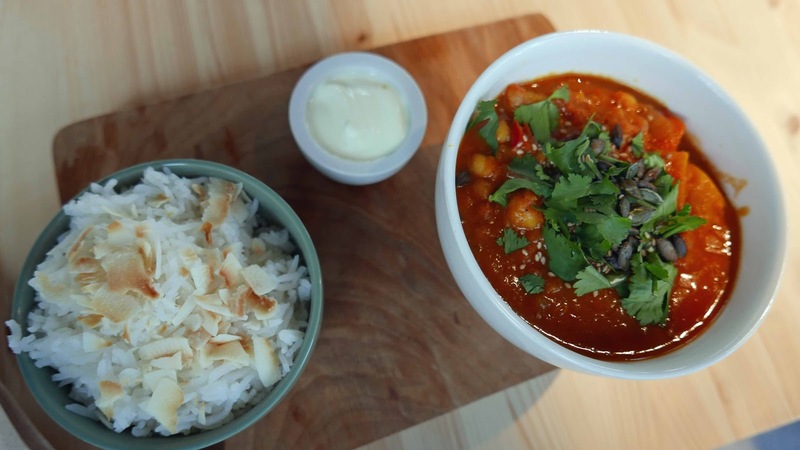 Crown Prince Squash + Chickpea Coconut Curry Bowl, with Basmati rice, yogurt and toasted coconut is the full description. Probably the best curry I've ever tasted is mine. Just perfect. Service here, even with the small queue at the door, is excellent. No pressure, just smiles and all the info you want. One of their aims is to “elevate local producers”. 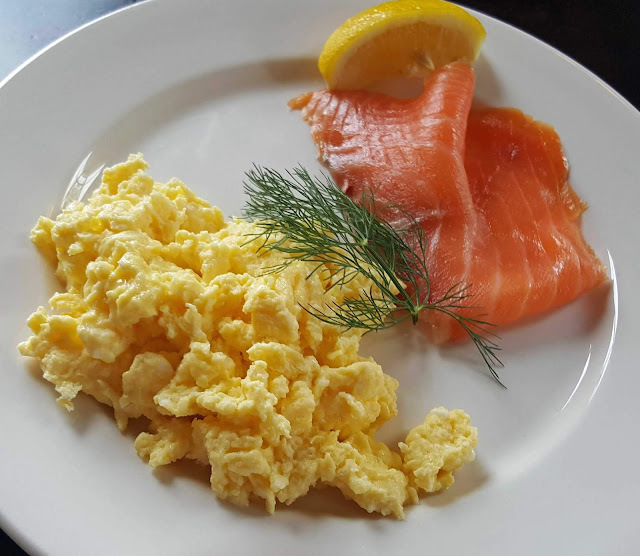 They feature quite a list on the menu including (it will change seasonally) well-known cheesemakers such as Ardsallagh, Hegarty’s and Toonsbridge, farms like Kilbrack, Horizon and Richard’s, also Green Space, Frank Hederman, Ballycotton Seafood, and Organic for Us (milk). Quite an impressive list and that’s only half of it. Oh yes, the Blanco Nino Corn Tortillas with the hake are made in Clonmel. The café, bright and airy with some outside tables, has one of the best situations on the city, in the middle of the peaceful well-kept gardens of the Nano Nagle Place, fast becoming one of the city centre’s top attractions. While at the café, I took the opportunity to visit the buildings and you may read about it here. No doubt as the season goes on, both Nano Nagle and Good Day Deli will get busier. 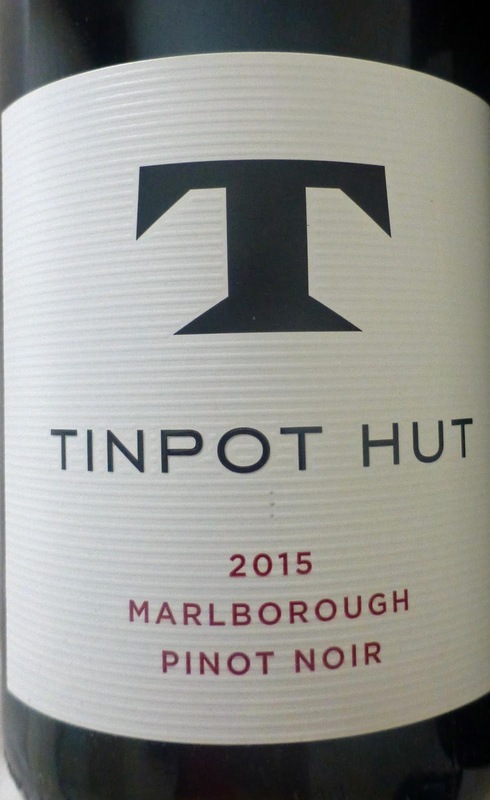 The Tinpot Hut winery is named after the huts, famed in New Zealand sheep country, huts used by musterers as they round up the sheep who have spent Spring to Autumn in the hills. Fiona Turner, a regular visitor to Ireland, is the winemaker. Tinpot Hut Pinot Noir Marlborough (New Zealand) 2015, 13%, RRP € 24.99 Bradley’s, Cork; Cashel Wine Cellar; JJ O’Driscoll, Cork; Wine Online; World Wide Wines. Colour is Pale ruby. There are plum and cherry aromas, touch of blackberry too. Same fruit on the smooth palate, spice well in the mix too, soft and silky tannins and well balanced through to a long finish. Hard to top this one. Very Highly Recommended. 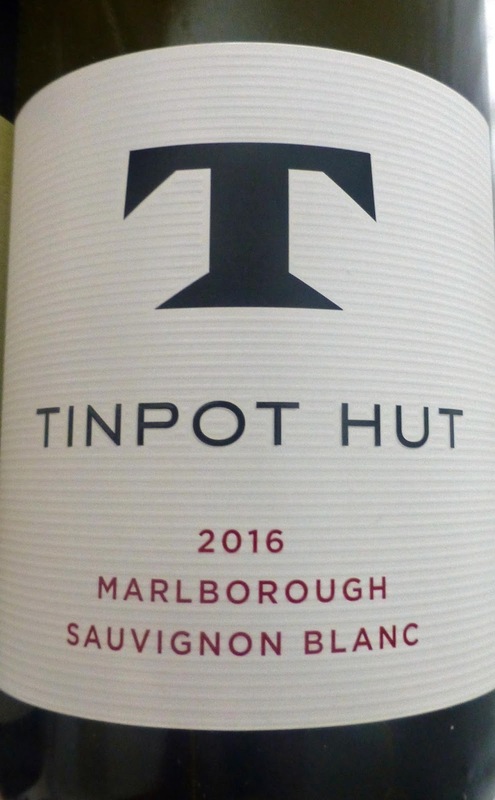 Tinpot Hut Marlborough Sauvignon blanc 2016, 13.5%, €19.99 Stockists: Bradley’s, Cork; Cashel Wine Cellar; JJ O’Driscoll, Cork; McKeoghs, Killaloe; Myles Creek; Wine Online; World Wide Wines. Another beauty from Fiona Turner and Tinpot Hut. Colour is light straw with green tints. Vibrant aromas of melon, pineapple, lemongrass, a drift of herb. 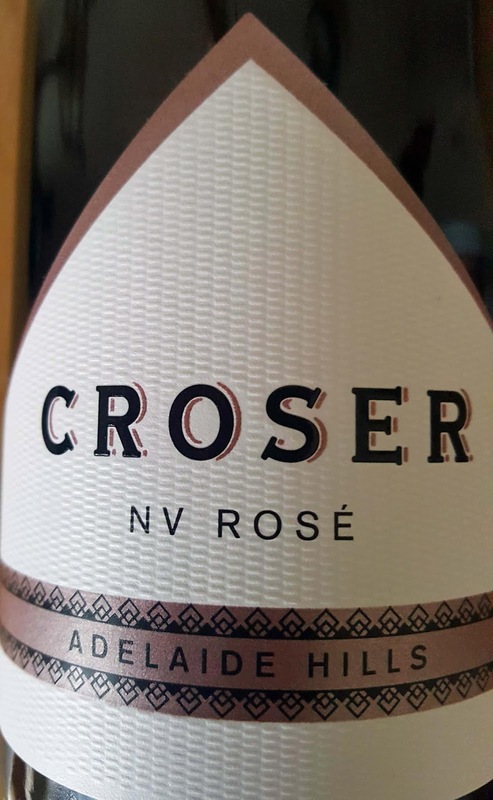 On the palate, exotic fruit flavours, citrus also in there, make it quite a flavourful experience, but with a lively acidity, and this elegant wine continues in balance as it heads to a long finalé. Fiona is proud of her well earned Sustainable Winegrowing logo and proud too of this Sauvignon that has been declared “exceptional” by Decanter who also awarded it 98 points. Very Highly Recommended. Tinpot Hut wines are imported here by Liberty Wines and they also include Pinot Gris, Syrah, Riesling and Grüner Veltliner in their portfolio. The wines of Navarra are not as prominent in the Irish market as those of Rioja, its next door neighbour in Spain's North West. 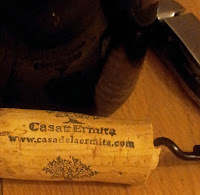 But this impressive amalgam of Merlot, Tempranillo and Syrah, illustrates well why it should be taken more seriously. The grapes are hand-picked and sorted twice on arrival at the winery. Twelve months in new French oak barrels is followed by 12 months in bottle and that earns it the Crianza sticker (on the back of the bottle). The legs here, as you might expect, are slow to clear; colour is a deep ruby. 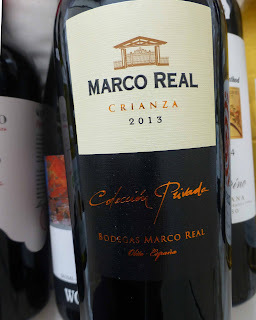 There is an attractive mix of aromas (mainly ripe red fruits) plus hints of oak. Silky, Fruity. Spicy. Tannins are more or less totally integrated as is the oak. This full-bodied intense wine has a persistent finish and is Very Highly Recommended. Good value as well. 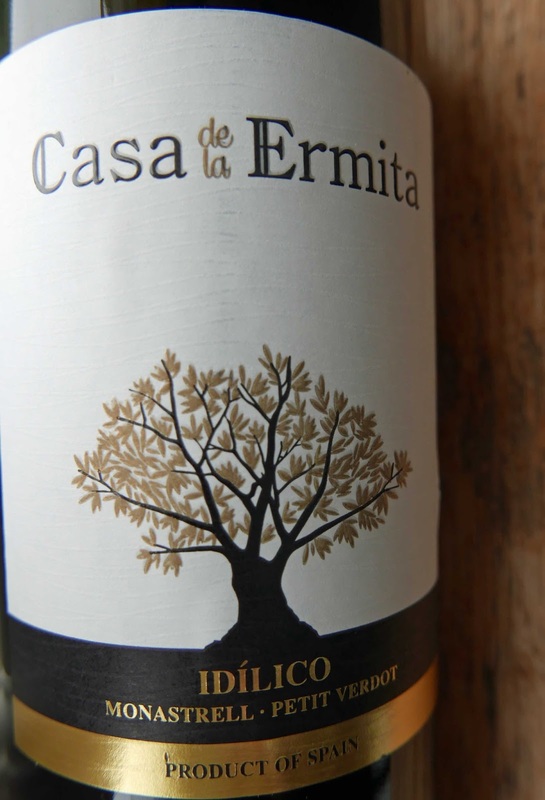 A blend of Petit Verdot and Monastrell, this Crianza comes from old vines grown at 700 metres above sea-level. It has an intense garnet colour, the legs slow to clear as you'd expect. Intense aromas too: darker fruits, plum prominent, hints of mint too. Rich on the palate, full of concentrated fruit flavours, spice too and close-to-smooth tannins. Excellent finish also, leaving you with that second glass feeling. This newcomer to SuperValu is very welcome and Highly Recommended. As you can see, this is a blend of Merlot (80%) and Cabernet Franc. It won Platinum for the producers, the Giesen family, in the recent Decanter awards and it is exclusive to Marks and Spencer. 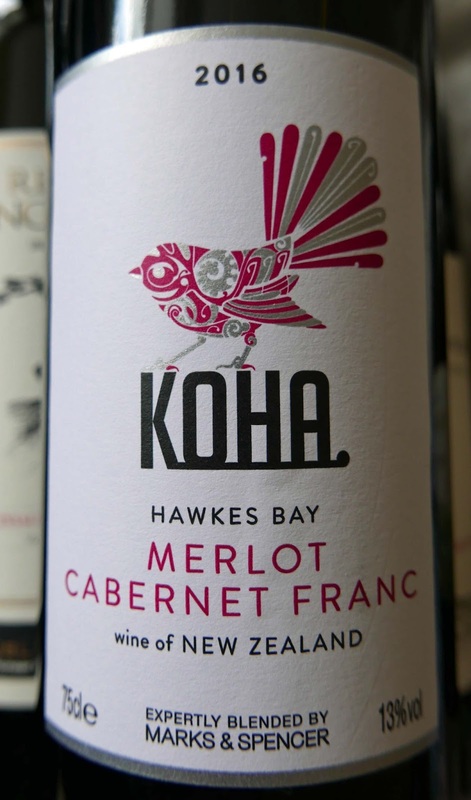 The sunny region of Hawkes Bay is perfect for Merlot. Just noticed that the Giesens produce an unusual style “blend” of hard apple cider and white wine, in a can! Back to our smooth and fruity wine with its deep purple colour. Warm dark fruits prominent in a lovely mix of aromas. Plums and berries on the juicy palate, oak in the background. Fresh and vibrant, this smooth engaging young wine, medium to full-bodied, is worth getting to know. Highly Recommended. Pretty good value too. Match with roasts and BBQ. The Koha, by the way, is a long tailed cuckoo, a summer visitor to New Zealand. We had joy. We had fun. We had Rieslings in the sun. And in the rain too! It is after all, one of the most versatile of wines and was a particular favourite of the late Joe Karwig as Beverly Mathews reminded us when she introduced an evening of Joe’s Rieslings at L'Attitude Wine Cafe last Wednesday. “Creamy mousse...brioche...great with Foie Gras…”, drooled Marcus as we sipped this 100% Riesling sparkling wine. “Made by a man who had 3 wives and 19 children and wanted to unite Europe”. This is genuine, made with the traditional champagne method. That creaminess, the bubbles and acidity worked very well with L’Atitude’s canape of Brie. Goes well too with pork belly, according to Marcus. Full review (30/12/15) of this wine here. “This is from one of the highest growing areas in Austria,” said Marcus. “Very minerally, for sure. Makes you pucker! With peach, apricot and citrus elements in the mix, it makes for a lovely aperitif. Great with seafood. This is a baby and definitely another few years in it.” Riesling is great with Asian and this was underlined when L’Atitude paired it with prawns. Both the flavours of the wine and the prawn improved when they met on the palate. Can't ask anymore of a match! This has the VDP eagle displayed on the neck, “a guarantee of pure wine pleasure”, not a bad start. For many years the winery was a foundation for the benefit of the town of Eltville in the Hattenheim region. In 2003, it came back into private ownership. Peter Winter, a one-time boss and long-time friend of Joe Karwig, is the new owner and kept the existing name. Jurgen was involved in a recent harvest here. “This vineyard is a top site. ..less juice per vine.. flavours more concentrated. It is more quality, less about quantity.” Marcus enthused: "Very complex, big mouthfeel..I’d like to see it in 15 years time. But it is drinking very well now, a cracking wine and one to watch.” My favourite too! “This is from rainy Nelson,” said Marcus. They are certified biodynamic now and were getting there ten years ago”. The petrol aromas dominated this one even though the excellent salmon ceviche (made by L’Atitude’s Chilean Francisca) helped moderate them. Back to Germany for the 5th wine, an off dry, made by the 5th generation of the family who have been here since 1880. “Very steep”, said Marcus. “Even steeper than Patrick's Hill. Some minerality but a little bit of residual sugar means it's off-dry (feinherb). But it is addictive!” Great match here with a skewer of pork, apricot and red onion, very enjoyable pairing indeed. We would, naturally, finish on a sweet note though this, from the south facing slopes, is not quite a dessert wine. “You have peach, grapefruit, honey. You see very few ausleses in restaurants around here.” It proved quite a match with a piece of Bleu d’Auvergne, the sweet and the salty going nicely together. Time now for a toast to Joe as Jurgen and Marcus introduced a surprise: a 1988 Schlossgut Diel, Dorsheimer Goldloch. “There is a little bit of oxidation, just showing its age!”, said Marcus. “But still clear, vibrant, a nice little treat. Give it a moment or two for the aromas to open up. Would have been sweeter once but now drying, on its way to fading away.” And then we toasted Joe with the old Riesling and a “chorus” of clinks. Graham Norton in on the act! 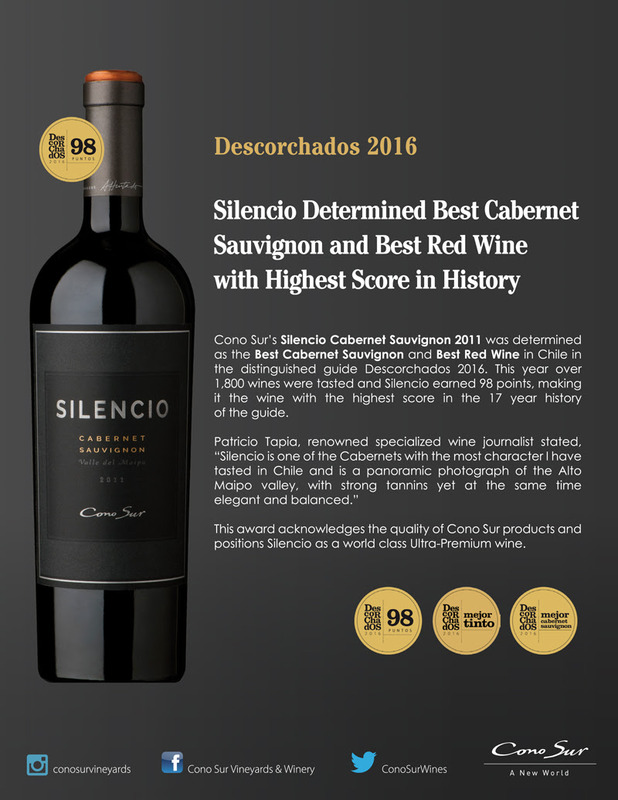 And Cono Sur's Silencio best in Chile. 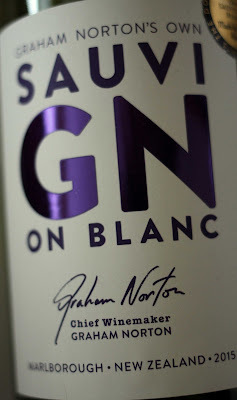 Sauvignon blanc is one of the best known and best loved grapes on the planet. The Loire Valley is regarded as its heartland but it thrives too in New Zealand, especially in Marlborough, and in Chile and indeed in many other places around the world. 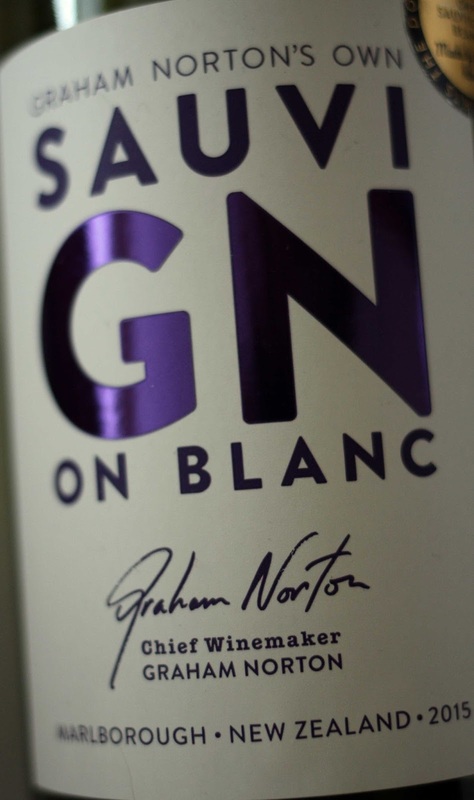 And it is to New Zealand that West Cork born Graham Norton went to try his hand at making a bottle. Personality in a bottle or a personality with a bottle? The answer is somewhere in between. According to the recent Wines of South America, Cono Sur (the first winery to be recognised as carbon neutral) is “one of the most consistent and reliable wineries in the country”. The country is, of course, Chile, and this is an excellent example and Very Highly Recommended. The pale gold colour is bright and healthy looking and there are fresh aromas of white fruit and blossoms. Fruit flavours in the crisp and elegant palate, lively acidity and a decent finish too. Ideal as an aperitif or with seafood dishes. 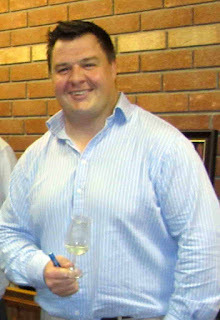 Norton is a shareholder in the Invivo Winery and the wines for blending were brought to him in London. Winemaker Rob Cameron came too and together they came up with a wine that quickly won a string of awards. “Fresh and lively… fabulous juicy finish”. “Tongue tingling….full of punch and personality”. Colour is just about present with hints of green. Aromas are fresh, white fruit, some herbal elements too. There is a generous flush of freshness and fruit, matched immediately by balancing acidity (just like a Norton put-down!). Must admit this is an excellent drop indeed (unlike his red chair!) and Highly Recommended. This is an organic wine by Eco Balance, made for “relaxed everyday enjoyment. Integrity, sustainability and an earth friendly focus inspires all that we do”. This is light yellow, green also evident, clear and bright. Aromas include herbal elements, white fruits too (including grapefruit). It is fresh and fruity with a zingy acidity, a decent mouthfeel and a moderate finish. Very good value and Recommended. 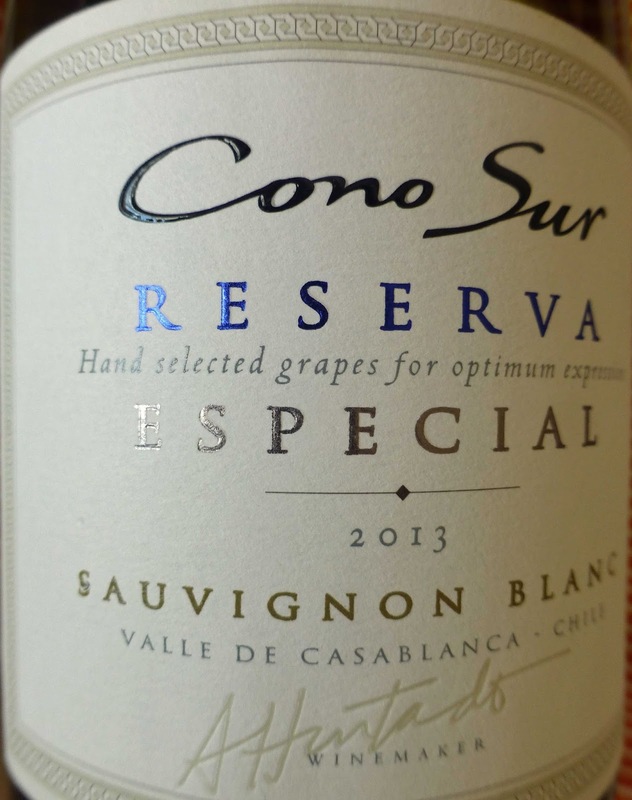 More good news for Cono Sur and chief wine-maker Adolfo Hurtado. Their Silencio Cabernet Sauvignon, launched in Dublin 12 months ago, has been named as the best red wine in Chile, gaining an unprecedented 98 points.